Special Equipment: A computer hooked up to a projector, and a table. The book Kristin is focusing on for younger audiences is an early chapter book titled Isobel’s Stanley Cup, about a 9-year-old girl in 1893 Ottawa, who is desperate to play hockey. She shares with listeners how she fell in love with books as a child and how that love of reading naturally developed into a love of writing. Then she explains how she became a professional writer and the important part the students she was teaching at that time played in her success. Audiences always want to know where she gets her ideas, so she refers to a couple of her books as examples. Then she turns her talk to Isobel’s Stanley Cup. Using a series of photographs projected onto a screen, augmented by other visuals (eg.—hockey skates of the period), she explains how she came to write this particular story, pointing out how astounded she was to learn that girls have always played hockey. And because she also illustrated the story, (a first for her), she shows the audience the original drawings, to send home the idea that a person is never too young or too old to attempt something new. She then shares the basic story (without spoilers, of course), pointing out how living in a different time made something as ordinary as playing hockey an unsuitable activity for a little girl. She emphasizes how attitudes towards many things have changed over time, and that reading stories set in other times and places is a wonderful way to learn more about the world. Then she reads a snippet from the beginning of the novel to arouse children’s interest. Finally she allows the audience to ask questions about her books and writing experience or books and writing in general. Winter Road is a hi-lo novel aimed at reluctant readers, though mainstream readers are also fans of the Orca Currents and Soundings books. As with her other presentation, Kristin provides listeners with a brief history of her love affair with books and how being a ravenous reader naturally led to writing. Turning the focus onto Winter Road, she provides a brief synopsis of the story in which a 16-year-old girl, anxious to fix her broken relationship with her mother, stows away on her mother’s semi and ends up travelling the hazardous winter roads of Manitoba. She explains where the idea for the story came from, and why it was probably the craziest piece of writing she has ever attempted, because she had to tackle three subjects she knew absolutely nothing about (ie.—long distance trucking, Manitoba ice roads, and diabetes.) Then she explains how she overcame all the obstacles in her way and got the book written, and how she benefited as a result. Finally she reads an excerpt and opens the floor to questions. Kristin Butcher was born in Winnipeg in 1951, but moved to Victoria when she was five. She took her parents, sister, and brother with her. They bought two acres of land on Blenkinsop Road with an apple orchard, a wooded mini-mountain, a huge oak tree, and two friendly horses in a nearby pasture. There were also some not-quite-so-friendly highland cattle with very long, very sharp horns, which will no doubt turn up in one of Kristin’s stories someday. Some of her favourite memories of that time include walking the rafters of the house her father was building (when her parents weren’t looking, of course) and eating apples straight off the trees whenever she wanted—even when they were hard and green and super-sour. Kristin has always liked being on her own, so when she wasn’t playing with the neighbourhood children, she could be found designing houses (to scale! ), drawing, doing crafts, reading, or just walking through the fields and woods—imagining. Being a voracious reader naturally led to writing—poetry, stories, even magazines. When Kristin was in grade 7, studying ancient Greece, she wrote an entire newspaper featuring her classmates as citizens of long-ago Athens. That year her teacher gave her a notebook to keep her personal writing in. Kristin still has it, and in appreciation of her teacher’s encouragement, she dedicated one of her books to him. Kristin and her husband met and married in Victoria but moved to Winnipeg the day their daughter, Sara, was born. They just unloaded the furniture and went across the street to the hospital. They stayed there (in Winnipeg, not the hospital) for 22 years, returning to Victoria one month after their son, Dan, graduated from high school. 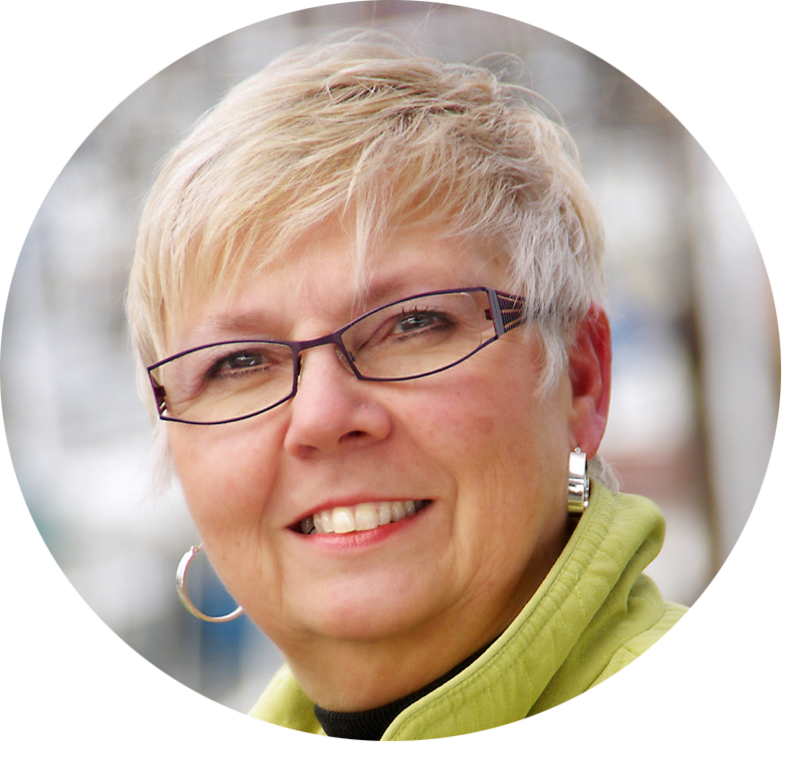 When Kristin’s husband retired in 2006, they moved to beautiful Campbell River on Vancouver Island, where he fly-fishes and she writes books.